Anyone with a Parrot Bebop quadcopter now has an easy way to automatically create short and snappy videos with their drone footage. For most drone pilots, the kicks come from taking the machine out, launching it into the air, and firing up the camera for some dramatic aerial shots of wherever you happen to be. What’s less fun is fiddling about with the footage in post, hunched over a PC as you try in vain to come to grips with the editing software. That’s where Flight Director comes in. It’s available as part of the latest update for Parrot’s FreeFlight Pro app for Android and iOS. The good news is you can try Flight Director for free for 15 days. The bad news is you’ll have to pay $20 if you want to continue using the full version. 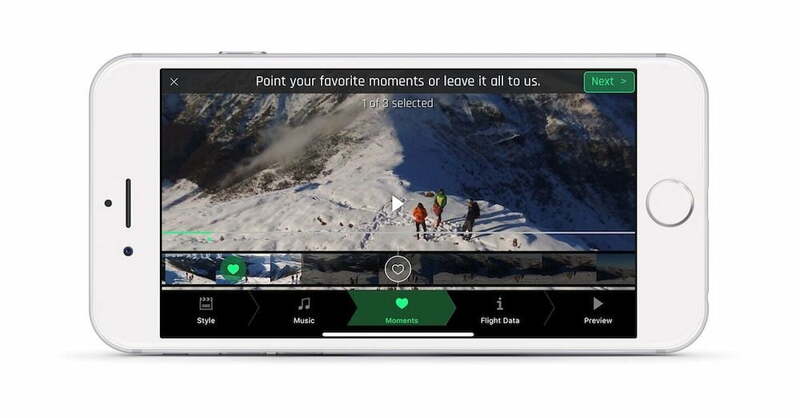 If you don’t fancy forking out $20 for Flight Director, there’s a free tier that lets you create short, 15-second snippets, which sounds good enough if you’re planning on sharing the movies with friends and family on social media. Compatible with the Parrot’s Bebop 1, 2, and Power drones, the entire editing process takes place within your mobile device so there’s no time wasted transferring the content to a computer. Using advanced algorithms developed by Muvee, a company that’s been in the business of automatic video editing for the last 17 years, the software “analyzes the drone’s behavior and automatically identifies the optimal sequences of each flight, synchronizing the clips into a montage,” according to Parrot. You do have to make some choices, including selecting the duration of the final sequence (up to 180 seconds), the style of the movie (chronological, trailer, cinematic), its soundtrack, and most importantly, the clips you want to include. It’s then a simple case of tapping the preview button to let the app perform its magic. In a demonstration showing how you might want to use Flight Director (above), Parrot released a video starring a rather clumsy skier called Greg, a guy who loves to use his drone to shoot his piste-based adventures. As you might expect, Greg uses Flight Director to eliminate all of his inelegant tumbles and falls to create a video sequence that makes him look like an absolute pro. Well, sort of.